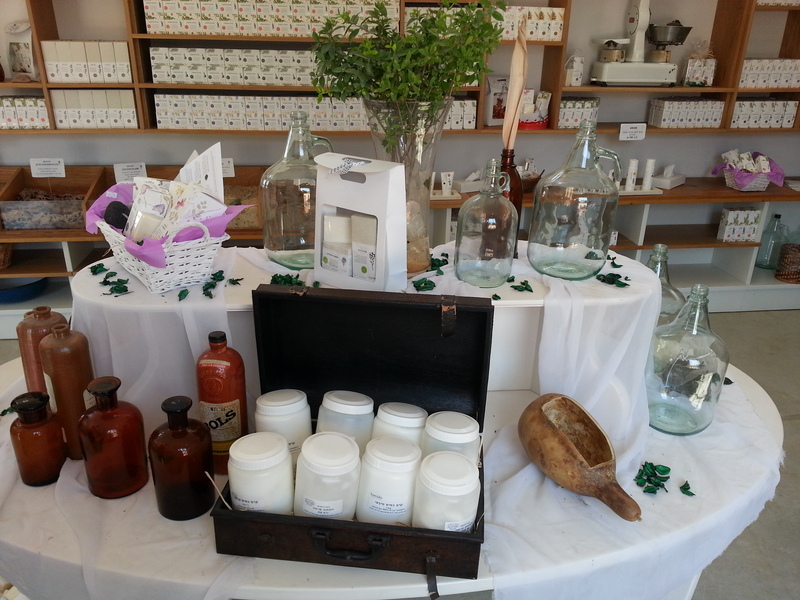 The Alony family recently took a field trip to Lavido’s Visitor Center and factory store nestled along an enchanting botanical garden within the heart of Nahalal, a moshav in northern Israel’s lower Galilee region. Our host, Ido Magal, CEO and founder of LAVIDO LTD walked us through the magical garden that provides for the companies natural organic personal care and health products. Here we experienced a multi-sensory tour of fruit trees, hundreds of organic herbs and medicinal plants. The tour encouraged us to feel, smell and taste the various plants and herbs while Ido explained how their different characteristics can help us live a healthy, beautiful and better life. After the tour we entered a classroom — a converted cow barn — where lectures on natural cosmetics and healthy lifestyles are given. We also had the chance to see and learn about the distillation process of oils and the production process of natural personal care products. Lecture tips were given regarding the correct use of essential oils involved in personal wellness and beauty care for women, men and babies. Finally we visited Lavido’s beautiful factory store. There we found a variety of familiar certified organic products from Lavido, new unique store products and essential oils. It was truly a fun experience that taught how herbs help us live healthy wholesome, pleasurable and genuine lives. If you haven’t tried any products from this amazing personal care line then stop by our store for information, testers and much more.